Welcome to our daily transfer rumours round-up. We are still gathering thoughts from Jose Mourinho’s explosive first press conference as the Manchester United manager where he virtually confirmed Henrikh Mkhitaryan’s move to Old Trafford and stressed on completing his fourth summer signing in coming weeks. With players returning to the pre-season preparation camps, we are beginning to get a better idea into their future and what implication would it have on their respective clubs as well. Real Madrid seemed to have made a move to sign Valencia’s Andre Gomes as Paul Pogba appears to be out of their reach. Ahead of a busy day in the summer transfer window, we look at the best transfer news and rumours of the day from July 5. 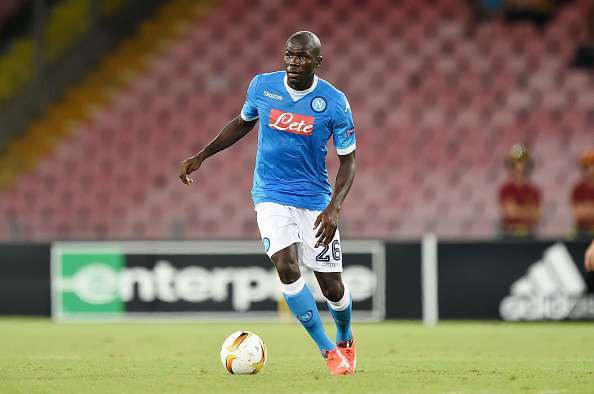 Can Kalidou Koulibaly be Antonio Conte’s second signing? Serie A side Lazio have launched a bid to sign Enner Valencia on a season-long loan with a mandatory €12m purchase option, according to Sky Italia journalist Manuele Baiocchini. West Ham, however, want the fee to be as high as €15m before considering an option to enter the transfer discussions. Torino have agreed a deal with Sunderland for the transfer of midfielder Emanuele Giaccherini, according to a report from GianlucaDiMarzio.com. Giaccherini was one of the stars at Euro 2016 with Italy but spent last season on loan at Serie A from Sunderland. The Italian now does not want to return to England and is closer to joining Torino this summer. Napoli are prepared to turn down a big-money bid from Chelsea for their central defender Kalidou Koulibaly. Club President expects Koulibaly to honor the 3-years left in his contract and reject a move to Chelsea this summer.